This combined reprint incorporates both volumes of an original two-volume Slavica reprint of the original work, published in Sofia in 1964 and 1968 under the title Български език, първа част and втора част, with Milka Marinova listed first among the authors of the first volume and Hubenova listed first among the authors of the second. This volume still represents the most complete Bulgarian course available in English. 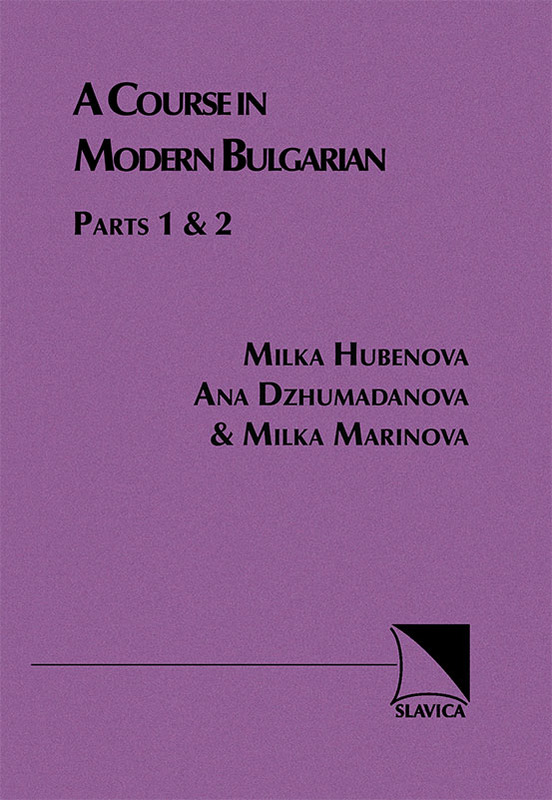 It provides quite complete coverage of all the common constructions and forms of the modern Bulgarian language. It starts with 62 lessons, each of which has abundant exercises of various types, and then has 60 pages of reading selections, mostly from Bulgarian literature. There is a substantial Bulgarian-English vocabulary at the back.